Since 1982, we are specialized in the sale of new and used boats and charter. 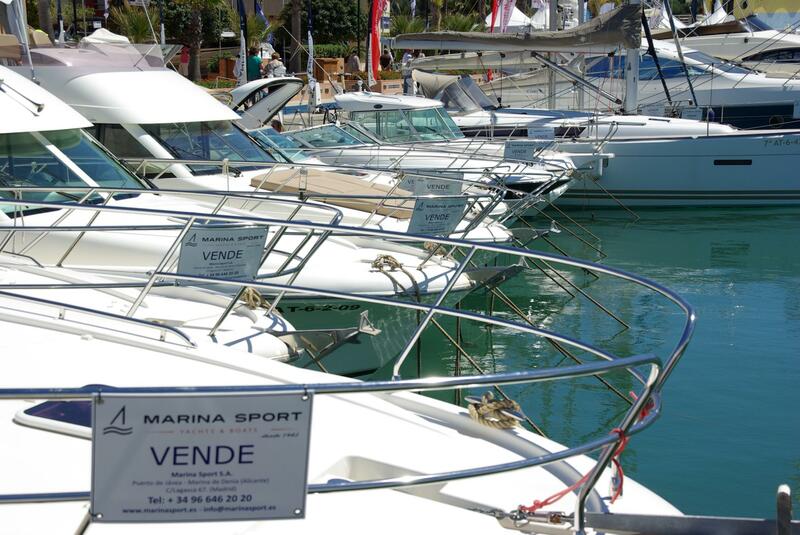 Importer and distributor of Jeanneau, Prestige Yachts, Fountaine Pajot, Sea Ray, Bordeaux 60 and Yamaha. Charter company that operates throughout the Mediterranean (Spain, Italy, France, Croatia, Greece and Turkey) and the Caribbean. By offering our customers the best boats in the best locations. Boats to hire in Costa Blanca (Jávea, Denia, Moraira...) Hire per hours and per days. With and without crew. Own fleet. Our offices are located in Marina Sport Madrid, Denia and Jávea, as well as a wide collaborators network. BACKGROUND & CREDENTIALS. We have been established in this industry for 30 years. AVAILABILITY. Having spent our whole lives sailing, it has given us the necessary confidence and experience to advise our clients and fully understand their needs. CLIENT FOCUS. Our friendly staff deals directly with our clients. We are open long hours to provide a personal service and have a 24/7 emergency service. LEADING BRANDS. We represent leading brands (e.g. Jeanneau, Prestige, Fountaine Pajot, Sea Ray, CNB, Yamaha…) and our clients benefit from our close and dynamic relationship with manufacturers. AFTER-SALES SERVICE. Run by a professional and highly-skilled technical team with large resources in order to offer technical support across our coastline, so that our clients can enjoy and make the most of their hassle-free days out on the sea. EXCLUSIVE SERVICE. Our technical and professional team is always focused on our clients and their boats. Race organizations and cruises for our clients, presentations of new models and sea trials. Because we remain enthusiastic sailing! Among other services. Courses and practices for obtaining sailing qualifications, insurance agent specialized in crafts.